There were two big anniversaries in Canadian science journalism this week: the Canadian Science Writers’ Association turned 45, and the CBC’s flagship science programme, Quirks and Quarks, turned 40. Andy Visser-deVries (the CSWA’s former executive director) has written a history of the founding of the organisation on the CSWA blog. It was forged in the midst of the October Crisis, which ultimately led to Pierre Trudeau invoking the War Measures Act to deal with kidnappings and murders by the extreme Quebec separatists of the FLQ. As a member of the CSWA’s current board of directors, I’d like to take this opportunity to invite all Science Borealis bloggers—and any other Canadian science communicators out there—to become members of the association, and join us at our next conference in Guelph in June 2016. If you have any questions, or better yet suggestions on what benefits or perks would make you more likely to join, feel free to contact me (you can find my email on my website). Quirks and Quarks started in the less politically volatile year of 1975, but science has changed even more than politics in the intervening 40 years. Quirks host, Bob McDonald, has a nice summary of how both journalism and science have evolved over that time. The latest episode of the show included contributions from previous hosts David Suzuki and Jay Ingram, who reflected on their time at the helm of the programme. 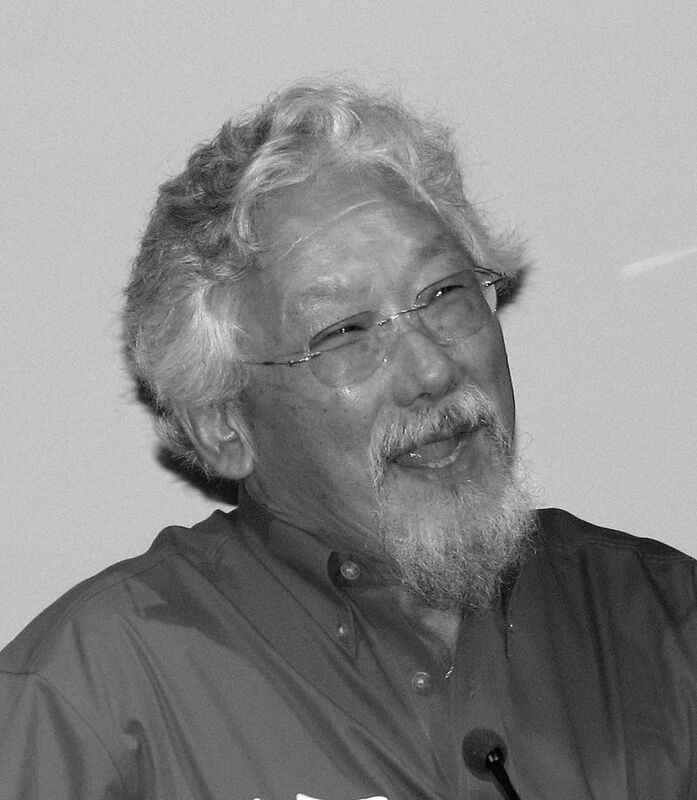 Quirks and Quarks founder, David Suzuki, in 2006 (CC BY 2.0). Here are Science Borealis we’re coming up on our second anniversary, but we hope to last as long—and remain as relevant—as the CSWA and Quirks and Quarks. Only 38 more years to go! General Science anniversary, Bob McDonald, Brian Owens, CSWA, David Suzuki, Jay Ingram, Quirks and Quarks, scicomm. permalink.